Since 2006 Ive been part of the isfth foundation and involved in collecting and screening every imaginable genre in the field of audio visual art, from emerging artists to established artists alike. Within this unconventional audio visual art archive there are numerous exciting works, where some of those stand out because of their original concept and/or visual excellence. In this program a selection of such works are shown. 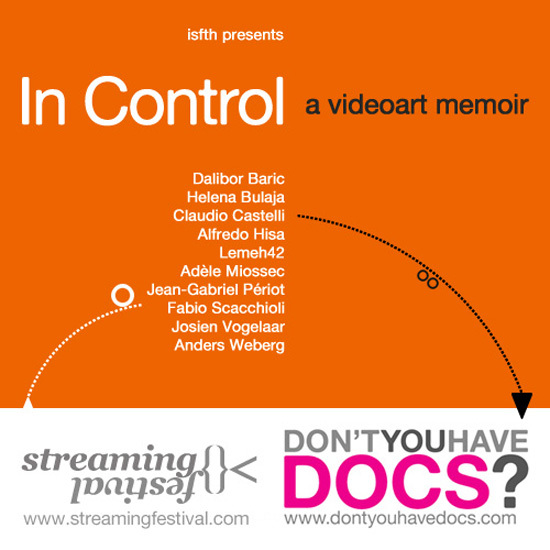 Curated program for Don't you have docs?, LOOP and screened on the Streaming Festival. Don't You Have Docs? Is a monthly curated program of short non-fiction films. Screening online on mubi.com Garage and at various locations in Australia, the program promotes the best short docs from all over the world. Loop presents an ever-changing roster of screen works, experimental music, audio-visual performance, and forums.